American Horse Publications (AHP) members gathered in Lexington on October 15 at The Club at UK’s Spindletop Hall, in Lexington, Kentucky, for its first-ever regional workshop. 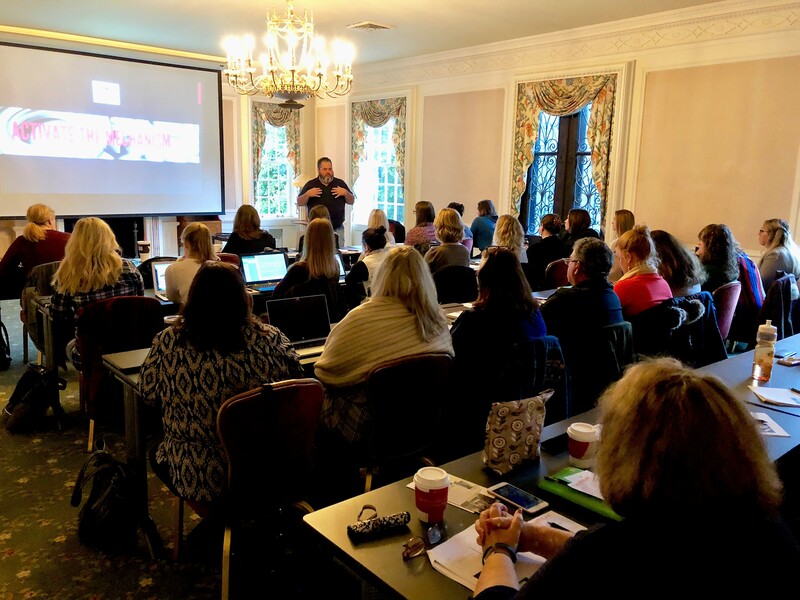 Thirty-three AHP members from the Lexington area, as well as the surrounding states of Ohio, Indiana and West Virginia, participated in a one-day social media marketing workshop presented by award-winning digital strategist and best-selling author, Jason Falls. “The No-Nonsense Guide to Social Media” focused on not only teaching the ins and outs of smart social media marketing, but also on how to leverage social media tools, tactics and talents to vie for viewers, readers and advertising dollars. The workshop lasted about eight hours, and offered a relaxed luncheon buffet to allow attendees time for networking with AHP friends, old and new. The AHP Regional Workshop was developed to continue the education and networking opportunities for AHP members throughout the year in areas where there is a concentration of members. The Board selected Lexington as the site of its first workshop and solicited the help of local members to form a committee. The AHP Regional Workshop Lexington committee was instrumental in making this first AHP workshop a reality and a success. The committee members included: Chairman Judy Lincoln, Carol Aldridge, Chad Mendell, Emily Alberti, Erin Hsu, Lynette Schneider, Megan Arszman, Milt Toby and Sarah Evers Conrad. AHP also received local support from the UK Ag Equine Program and Southeast Printing & Mailing. AHP Regional Workshops are planned for 2019. To learn more about the benefits of becoming a member of AHP, visit https://www.americanhorsepubs.org/become-an-ahp-member/ or email Executive Director Chris Brune at ahorsepubs@aol.com.